At a time when most of the medieval world was laid waste by the brutality of the Mongol armies, Khilji kept India – and its culture and civilisation – safe from the scourge. The Mongols were largely illiterate, so much of their history was written by the people of the territories they conquered, such as the Islamic lands of the near east, and of China and Russia. Much of what we know about them is based on the writings of scholars such as Rashid al-Din and other Islamic scholars who lived in the time of the Mongols. 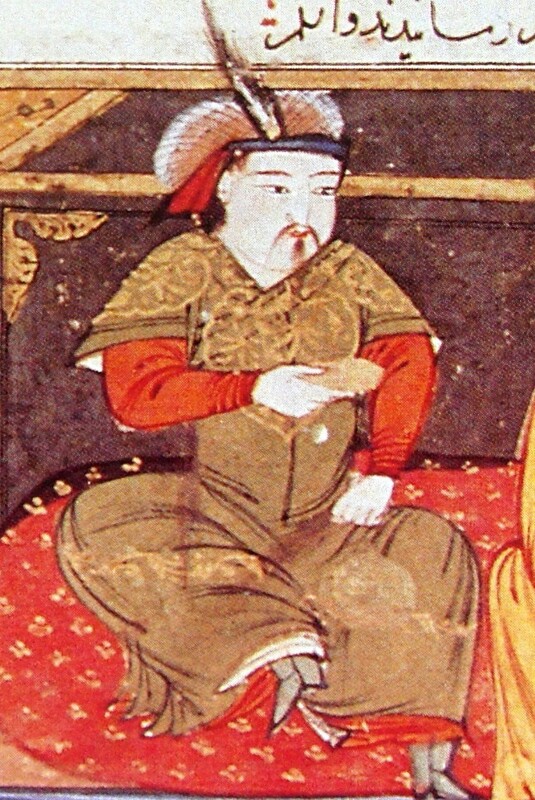 The Mongol dynasty was founded in 1206 CE, when a council of Mongol tribesmen elected the warrior Temujin as their leader and conferred upon him, at the age of 44, the title of Genghis – meaning “Mighty” – Khan. In the Indian subcontinent, he is known as Changez Khan. Radiating outwards from Mongolia, the Mongols, first under Genghis and, after his death in 1227 CE, under his sons and grandsons, embarked upon a plan of global conquest that resulted in the largest land empire in history – conquering China, Russia, Central Asia, Persia, Iraq, Syria, Afghanistan, Kashmir, and eastern Europe (parts of Hungary and Poland), and left a trail of death and destruction behind them. The map below shows the extent of the Mongol empire in 1294 CE, which is just two years before Alauddin Khilji ascended the throne of Delhi. Upon Genghis Khan’s death, the Mongol empire was partitioned into four parts. Eventually, these became the Yuan dynasty in China, famous for Genghis’s grandson Kublai Khan; the Golden Horde in Russia, which was founded by Genghis’s grandson Batu Khan; the Chaghatai Khanate of Central Asia, headquartered around Uzbekistan, founded by Genghis’s son Chaghatai Khan; and the Ilkhanate of western Asia, founded by Genghis’s grandson Hulagu Khan. The Mongols were the dominant military power in the world from the rise of Genghis Khan until at least the middle of the 14th century. With the exception of a few minor defeats involving small forces in battle, such as the Battle of Ayn Jalut, no military could defend itself against their onslaught. The Mongols themselves had no unique religious identity, and the Mongol nation was a fairly secular multi-ethnic meritocracy from the time of Genghis Khan. Hence, religion was not a strong motivating factor in their attacks. As an example, Hulagu was a mixture of the traditional Mongol religion of Tengrism and Buddhism, and his wife was Nestorian Christian. The Mongols did not just invade and conquer; they exterminated civilisations. To give just an idea, during Genghis’s invasion of the Persian Empire, these were the number of people put to death in some of the cities overcome by the Mongols in 1222 CE: Urgench, 1 million; Merv, 700,000; Nishapur, 1.7 million; Rey, 500,000 (an estimate based on the order that every male should be killed in a city of approximately a million people); and Herat, 1.6 million. That’s nearly 6 million people just from these cities, at a time when the world population is estimated at 400 million. In other words, the Mongols are said to have killed 1.5% of the world population in a single campaign. He also reports, “The Mongols destroyed mosques, palaces, grand buildings, hospitals, and libraries. The Mongols raided the House of Wisdom itself. The Tigris river ran black from the ink of the books that were thrown into the river, mixed with the blood of the slain.” The destruction the Mongols wreaked on the Muslim world was so great – it came close to wiping out Islamic civilisation – that most Muslims of the time viewed it as a form of divine retribution for the sins they had committed. What they did was plunge Russia into its ‘Dark Age.’ Another destructive legacy of the Mongols in their 250-year rule of Russia was the institution of serfdom. Alauddin Khilji was born in Delhi in 1266 CE, lived his entire life in the Indian subcontinent, and ruled as sultan of Delhi from 1296 CE – 1316 CE. By any definition, he would have to be called an Indian monarch, not a foreign invader. As a ruler, he would prove himself to be one of India’s greatest warrior kings and one of the world’s great military geniuses. Historical details about the Khiljis are obtained from fundamental sources such as Ferishta, who lived during the time of the sultan of Bijapur, Ibrahim Adil Shah II, and Ziauddin Barani, who lived at the time of Mohammad Bin Tughlaq and Firuz Shah Tughlaq. These accounts are well-summarised in the works of eminent contemporary historians such as K.S. Lal, Satish Chandra, and Peter Jackson. Khilji greatly expanded the empire that he inherited from his uncle, Sultan Jalaluddin Khilji, after killing him. Many of his conquests were of kingdoms ruled by Hindu kings, including Chittor, Devgiri, Warangal (from where he acquired the famous Kohinoor diamond), Gujarat, Ranthambore, and the Hoysala and Pandya kingdoms. He was able to do all this not because these other kingdoms were weak, but because he was a great soldier and general with a well-trained and disciplined army, using superior Turkic cavalry and infantry tactics, and had built a solid economic base which provided him with the resources to finance these campaigns. Khilji, by his military brilliance, managed to defeat the Mongols not once, but five times, and avoided defeat a sixth time even when taken by surprise, as the Mongols attacked with massive forces. This humiliating defeat prompted Duwa Khan to attempt another full-scale assault on India in 1299 CE, and he sent his son, Qutlugh Khwaja, with 200,000 soldiers, determined to finish off the Delhi Sultanate once and for all. The Mongol army came fully equipped for this assault on Delhi and for a long campaign, with sufficient food provisions. Alauddin’s own advisors were panic-stricken and advised him not to confront the dreaded Mongols who had come in such force. Alauddin met Qutlugh Khwaja at Kili, and the day was won by the bravery and martyrdom of his general Zafar Khan. (That the Mongols retreated because of Zafar Khan’s actions is the only explanation postulated by Barani, and quoted by Lal and Chandra; however, Jackson doubts this explanation and says the real reason the Mongols withdrew was that Qutlugh Khwaja was mortally wounded in the battle, a fact confirmed by other sources.) The defeated Mongols went back to their country without stopping once on the way. However, Duwa Khan was not satisfied. In 1303 CE, he again sent a huge force of 120,000 horsemen to attack Delhi, under General Taraghai. This was, unfortunately for Alauddin, immediately after his long battle with and victory over the kingdom of Chittor. That Alauddin was busy with his attack on Chittor was known to Taraghai, and was one of the key factors in his planning. Alauddin was taken completely by surprise. His army was greatly depleted and had suffered great losses in equipment in the battle for Chittor. 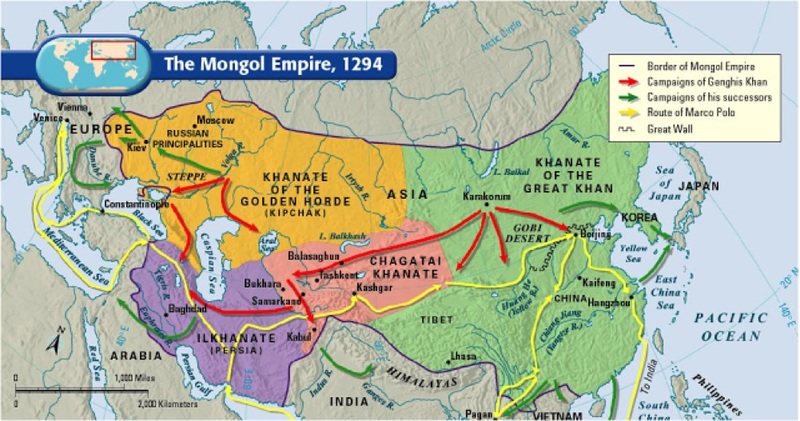 He tried to get reinforcements from other parts of the empire, but the Mongols had blocked all the roads to Delhi. Alauddin dug trenches and built ramparts and created a strong defensive position that made it impossible for Taraghai to defeat him. After two months of trying hard to break Alauddin’s defences, Taraghai lost patience and returned home. This was clearly brilliant generalship under extremely adverse circumstances which would have meant certain defeat for anyone who was not as resolute and as resourceful. In 1305 CE, seeking to avenge their previous defeats, the Mongols invaded again, under the leadership of Taraghai, Ali Beg, and Tartaq, with a force of 50,000 horsemen. 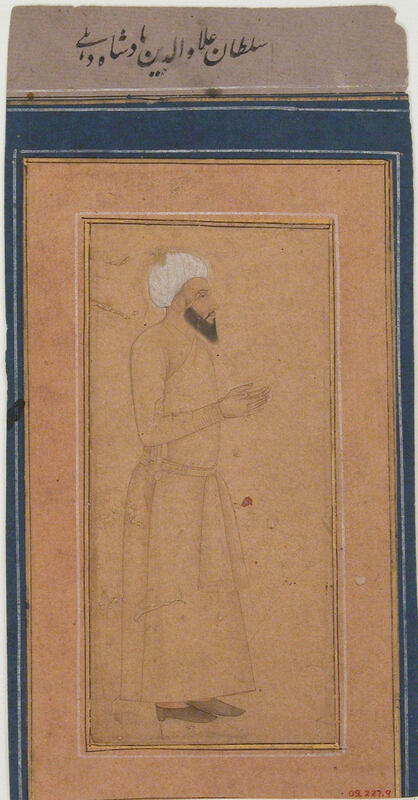 Taraghai was killed in a preliminary clash even before arriving in Delhi, but Ali Beg and Tartaq pushed on. Knowing Delhi to be strongly defended, they started plundering the countryside of Avadh. 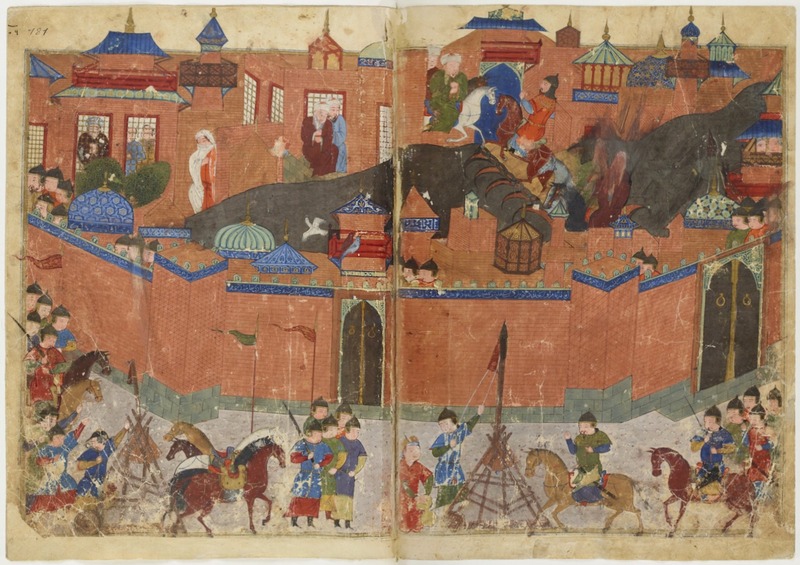 Alauddin sent a force of 30,000 to 40,000 horsemen with the general Malik Nayak to meet the Mongols and inflicted a crushing defeat on them on December 30, 1305. Twenty thousand horses belonging to the enemy were captured, and most of the soldiers were slaughtered. 8000 prisoners of war were brought to Delhi, including the two generals, who were subsequently beheaded. Thus, Alauddin Khilji achieved what no other ruler in the world, east or west, had achieved. He repeatedly repulsed and defeated large-scale invasions by the Mongols, who had been an unstoppable force wherever they had gone — Russia, China, Persia, Iraq, Syria, Europe. He was able to repel forces of up to 200,000 Mongol horsemen. In comparison, the force that Hulagu took with him to Baghdad and used to completely destroy the Caliphate had only 150,000 horsemen. 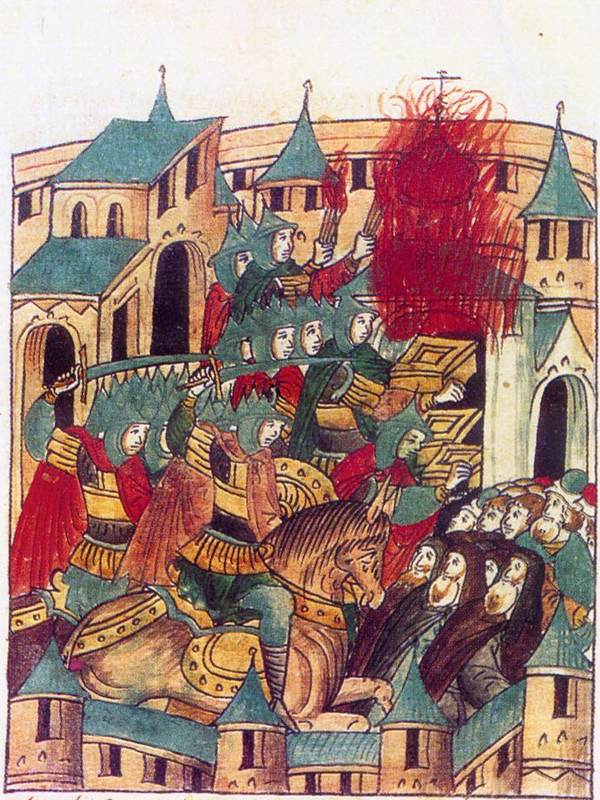 The Mongols had not become weak and feeble since the sack of Baghdad in 1258 – this was not the reason for Alauddin’s success. 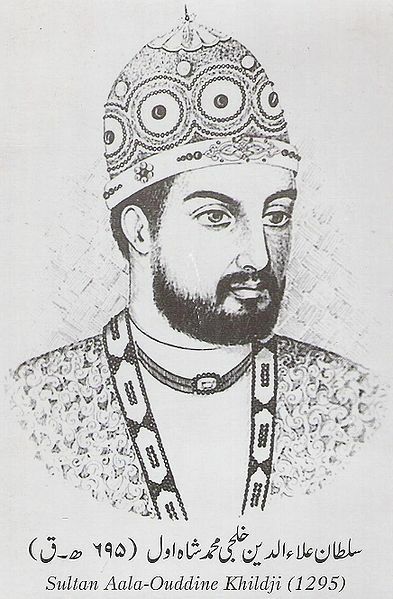 As an illustration, his uncle who preceded Alauddin as Sultan of Delhi preferred to “make a settlement, giving the Mongols very favourable terms”, to use Lal’s words. Alauddin’s own advisors advised him in 1299 CE to submit rather than fight the feared Mongols; but Alauddin Khilji proved superior to his formidable Mongol foes. From the knowledge of how other countries fared under the Mongols, it is fair to say that had the Mongols conquered India, India would have likely been set back at least two or three hundred years in its development. A large part of the knowledge and culture that had been accumulated in India over millenia might well have been destroyed. Every library, school, temple, mosque and even home would have likely been burnt to the ground. As the Russian experience shows, even if the Mongols had settled down in the Indian subcontinent (an unlikely proposition, given the hot Indian weather), the consequences for India would probably not have been savoury. So the Mongols were not like any other invader. If Khilji had lost to the Mongols, the outcome would not have been as benign as when Ibrahim Lodi lost to Babur. In that case, one ‘foreign’ ruler who had recently made India his home was replaced by another, but the Indian subcontinent itself did not suffer greatly. If the Mongols had won against Khilji, they would probably have wiped a large percentage of India’s cultural heritage off the map of the world. If we have ancient traditions in India that survive to this day, a large part of the credit for that has to go to Alauddin Khilji, one of history’s greatest warrior-kings. By all accounts, Alauddin Khilji was not a benevolent king to his subjects. But he also was a brave soldier and a brilliant general who saved the Indian subcontinent from certain destruction. Of course, Khilji did not resist the Mongols to save Indian culture and civilisation; he did what he did to save himself. But that is true of every ruler who defends their kingdom against a foreigner, whether that be Shivaji, Rana Pratap, or Laxmibai of Jhansi. 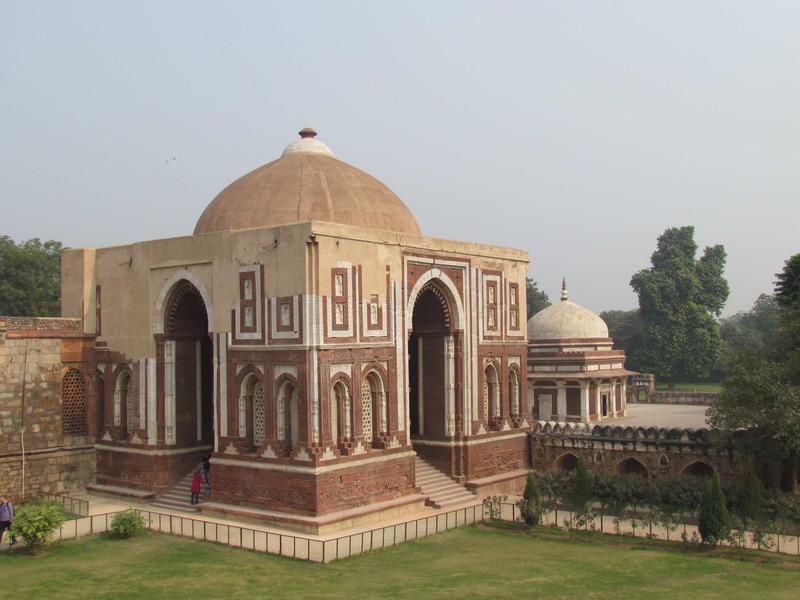 The story of Alauddin Khilji shows us that we need to understand history in its entirety. Just as most Indians are unaware of Alauddin Khilji’s role in stopping many Mongol invasions, even the image of Khilji as someone who persecuted Hindus is based on an incomplete understanding of history. To be sure, Khilji was an extremely cruel, suspicious and vindictive man, and meted out barbaric punishments to those who antagonised him. But his cruelty was impartial, and made no distinction between Hindus and Muslims. The first thing one needs to understand about this statement is the source. As Peter Jackson explains, Barani himself was an extreme bigot, writing in his Tarikh-i-Firuz-Shah that Hindus should be looted and enslaved and the Brahmins, in particular, should be massacred en masse. Some of what Barani writes about Alauddin, therefore, reflects his own prejudice more than Alauddin’s. In fact, there are many places where he disapproves of Alauddin as having been too soft on Hindus. The next thing to understand is that the main revenue of the state came from agriculture, and most of the farmers were Hindus. Alauddin needed to finance his expensive military campaigns, and for this, he levied heavy taxes on the farmers — and hence the Hindus. This was rightly viewed as oppression; but the motivation for the oppression was fiscal, not religious. An additional motivation for Alauddin in impoverishing the farmers was that there was a constant threat of rebellion against him. This threat arose both from the wealthy farmers as well as from the Muslim nobility. Alauddin acted with equal brutality in suppressing both threats. A poor farmer was not a threat. Seshadri Kumar is an R&D Chemical Engineer with a BTech from IIT Bombay and an MS and a PhD from the University of Utah, U.S. He writes regularly on political, social, economic, and cultural affairs at www. leftbrainwave.com. The author would like to thank the following people for reading drafts of this article and offering valuable suggestions that have greatly improved it: Ajoy Ashirwad, Anirban Mitra, Prof. Harbans Mukhia, Prof. Partho Sarathi Ray, Ramdas Menon, and Sandhya Srinivasan. The author would also like to thank all those who participated in discussing an earlier and much shorter version of this article that he had posted on Facebook — those discussions have helped sharpen the focus and improve this expanded version.